Shady Shores public schools belong to two districts, Denton ISD and Lake Dallas ISD. 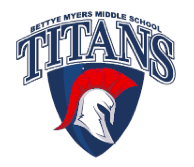 Myers Middle School is the newest school in Denton ISD and opened in August, 2013, as the district’s seventh middle school. It is located in Shady Shores and adjacent to Olive Stephens Elementary.